Click below on highlighted states to see our portfolio. 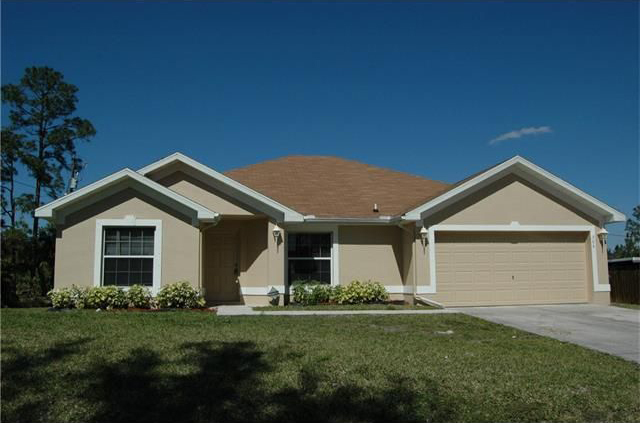 16 single family homes, built between 2005-2006 in Lehigh Acres, FL, east of Ft. Myers, and just 20 minutes from the Gulf of Mexico. 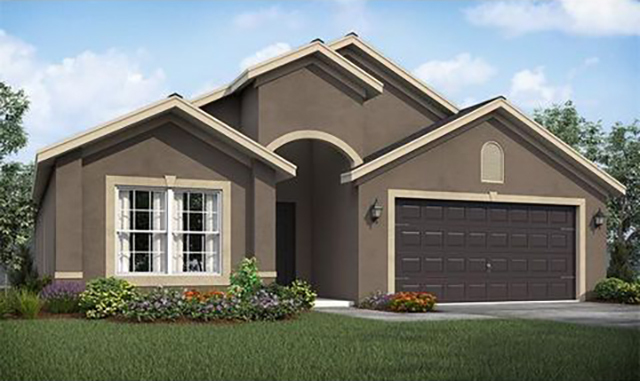 Homes range in size from 3BR/2BA to 4BR/2.5BA and are situated on ¼ acre lots. Features include upgraded appliances, laundry rooms, tile floors, large screened lanais and two car garages. 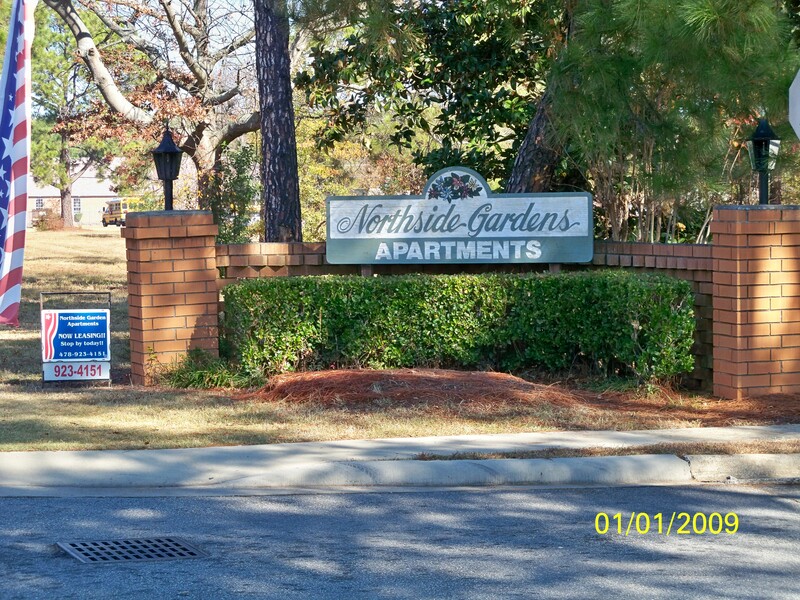 Northside Gardens is a market rate, multifamily apartment community located in Warner Robins, GA. 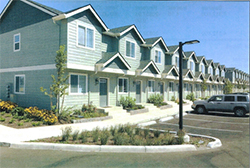 This property contains 32 single-story buildings which feature one-bedroom, two-bedroom, and three-bedroom floor plans. The 18 acre site is abundant with indigenous pine trees creating a peaceful, campus-like atmosphere for residents. 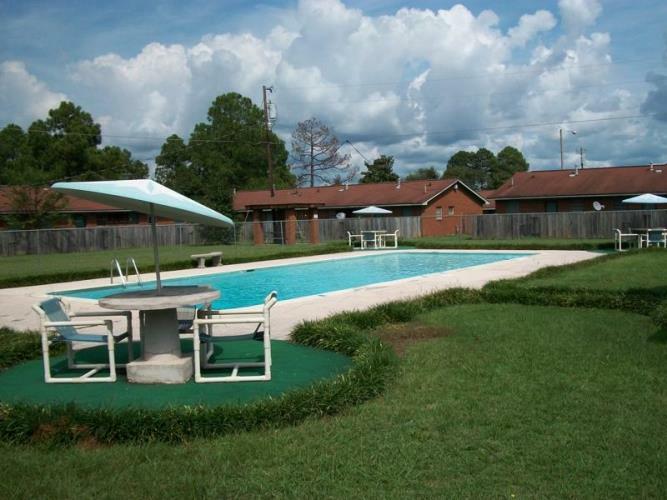 Community amenities include two swimming pools, a laundry facility, a community clubhouse, and two tennis courts. 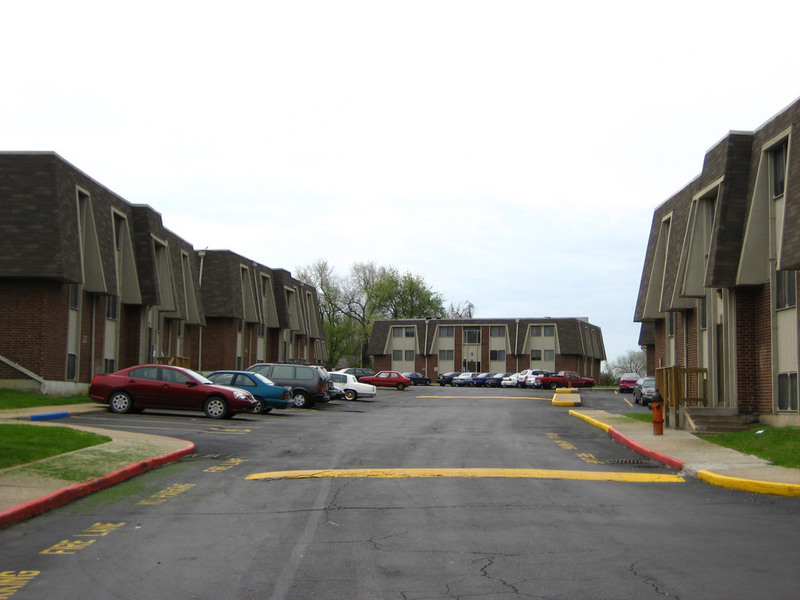 Northeast Apartments is a government subsidized apartment community located in the historic Pendleton Heights district of Kansas City. 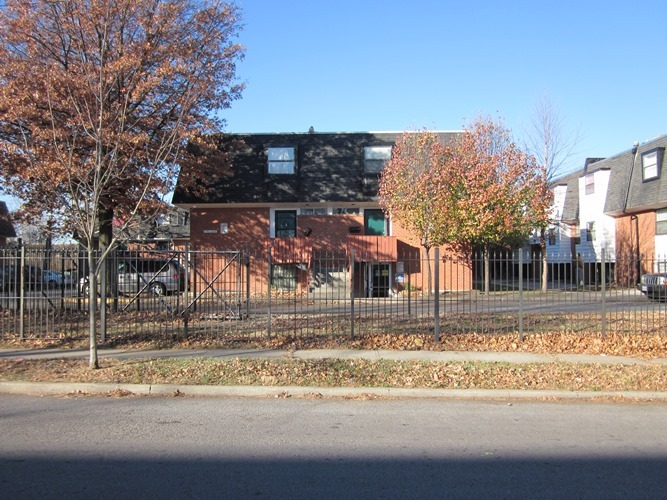 The property is comprised of 12 two and one-half-story buildings which collectively offer an attractive unit mix of 10 one-bedroom, 76 two-bedroom, and 51 three-bedroom apartments. 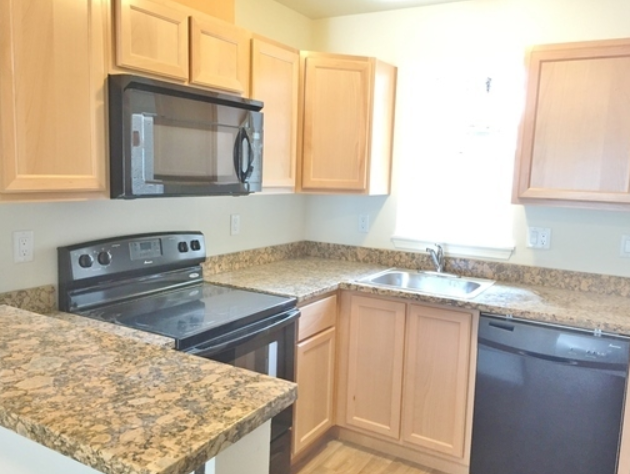 Community amenities include onsite laundry, off street parking, and central air conditioning. 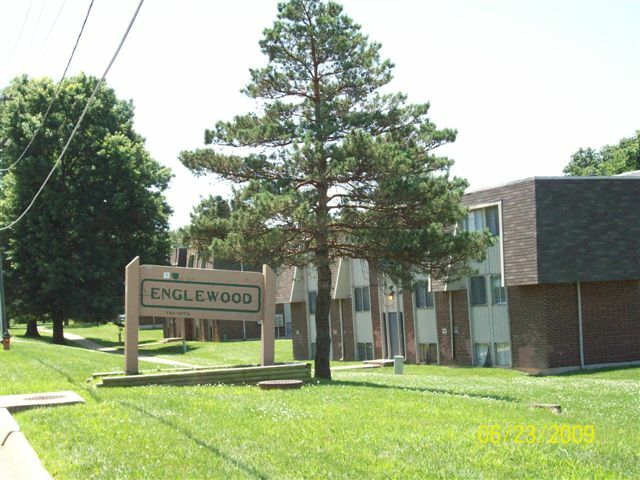 Englewood Apartments is a government subsidized apartment community situated just north of the Missouri River in Kansas City. 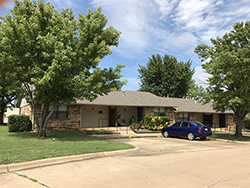 The property features a diverse unit mix which includes one-bedroom, two-bedroom, three-bedroom, and four-bedroom apartments. 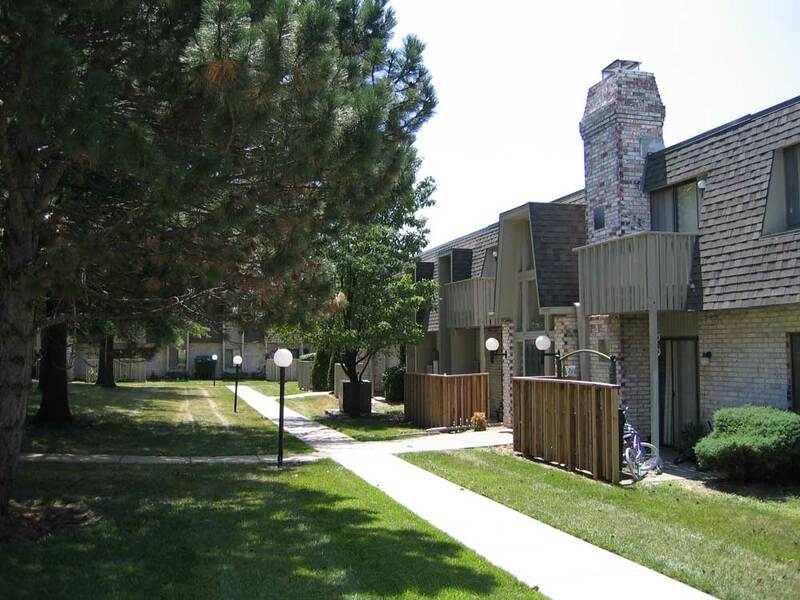 Community amenities include playground, onsite laundry, off street parking, and central air conditioning. 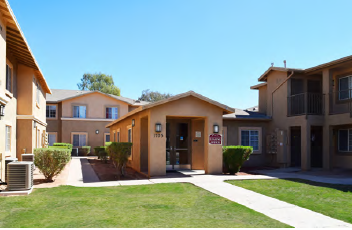 Casa Del Sol consists of 10 two-story multifamily apartment buildings located in Calipatria, CA, just 25 miles north of El Centro. 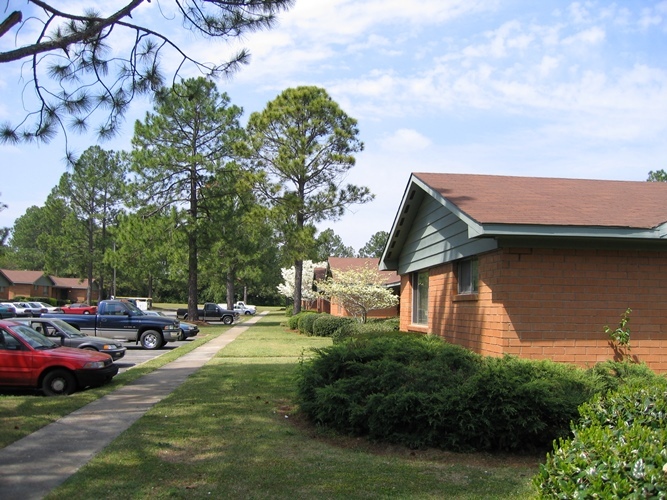 The community contains 41 two-bedroom, two bath apartments and 40 three-bedroom, two bath apartments. Casa Del Sol provides affordable housing to families earning no more than 30%, 40%, 50%, and 60% of Imperial County AMI (area median income). 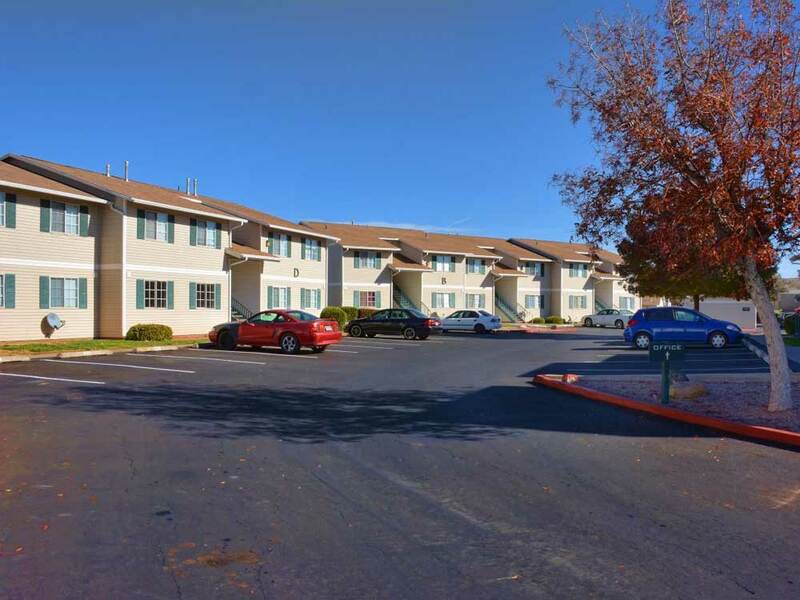 Sierra Vista consists of 6 two-story multifamily apartment buildings located in Seeley, CA, just 10 miles west of El Centro. 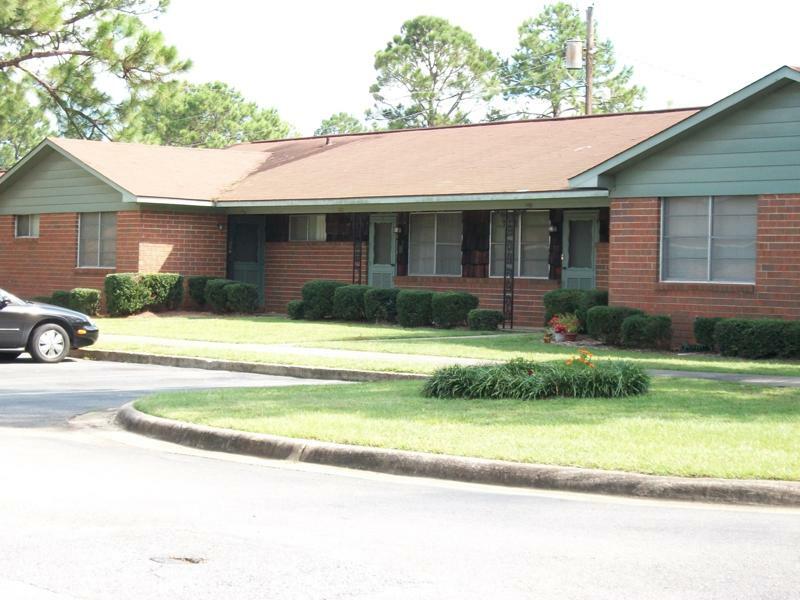 The community contains 24 two-bedroom, two bath apartments and 24 three-bedroom, two bath apartments. Sierra Vista provides affordable housing to families earning no more than 30%, 40%, 50%, and 60% of Imperial County AMI (area median income). The New Yorker Apartments is comprised of one three-story building located in the historic district of Downtown Bakersfield. 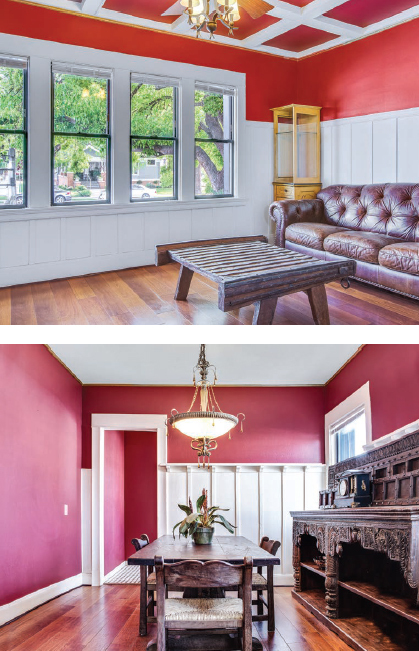 This midrise community features a unique unit mix of studio, one, and two bedroom apartments all of which have been thoughtfully restored to maintain their authentic vintage ambiance. Common area amenities include on site laundry facility, off street parking, and a beautifully landscaped courtyard appointed with a koi pond. 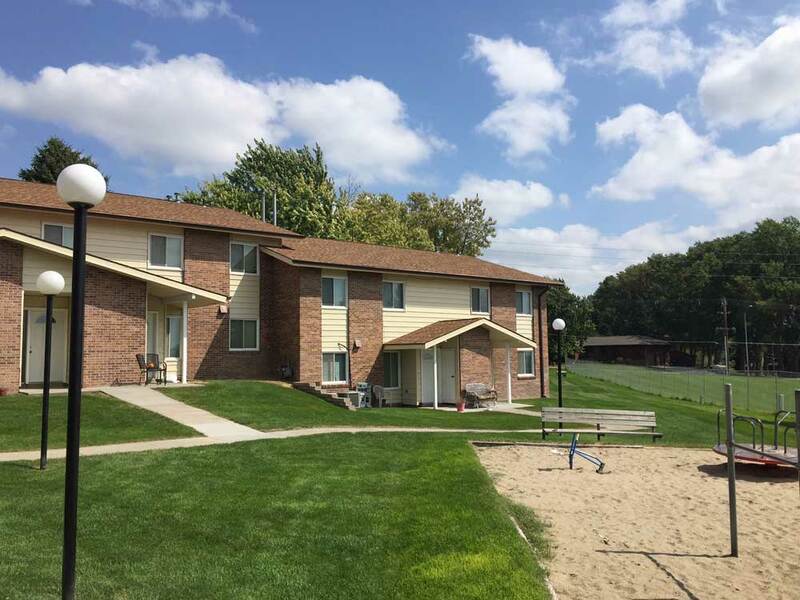 Situated just 15 minutes south of Indianapolis, Park Madison Apartments is comprised of 7 two-story multifamily apartment buildings located on approximately three acres of land. The community consists of 56 two-bedroom floor plans totaling 64,400 rentable square feet for a generous 1,150 square feet of living space per apartment. Lincolnton, NC is a bedroom community located 37 miles northeast of Charlotte, and part of the Charlotte MSA. Located between the Blue Ridge Mountains and coastal plains, the Charlotte metro stretches 3,198 square miles across the Piedmont region of the Southeastern United States. It contains seven counties in North Carolina: Mecklenburg, Gaston, Union, Cabarrus, Iredell, Rowan and Lincoln. South Carolina counties include York, Lancaster and Chester. A strong financial presence has contributed to the local population growing to more than 2.4 million citizens, becoming one of the nation’s fastest growing metros over the past 15 years. Cushing, OK is located 70 miles northeast of Oklahoma City and just 20 miles east of Stillwater, which is home to the main campus of Oklahoma State University. Apartment vacancy rates in this submarket are sub 5% as a result of low apartment housing inventory and limited supply in the pipeline. Additionally, Cushing is one of the largest oil storage locations in the country. 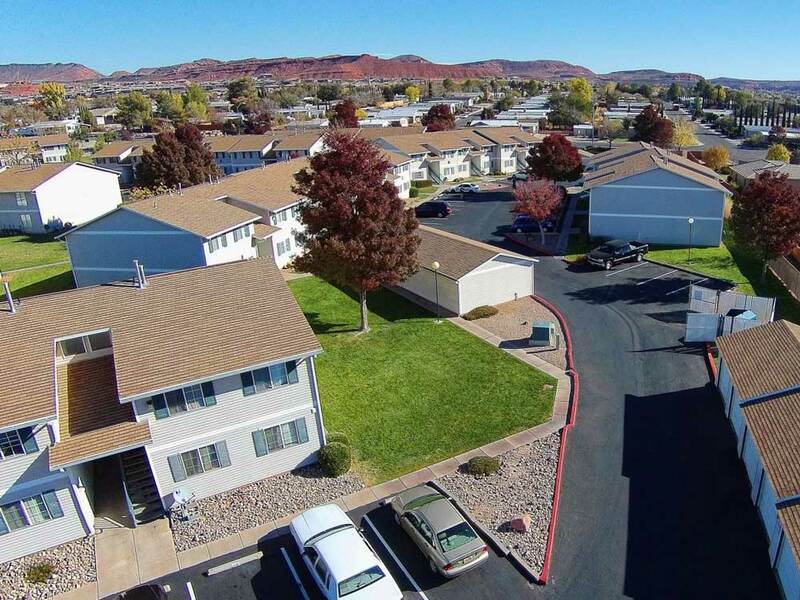 Sierra Pointe consists of 15 two-story apartment buildings situated on two parcels totaling approximately 11 acres in St. George, UT. Just 40 miles west of Zion National Park, this garden style community features an attractive unit mix of studio, one, two, and three bedroom apartments. Common area amenities include on site laundry facilities, community fitness center, playground, sauna, and garage parking. 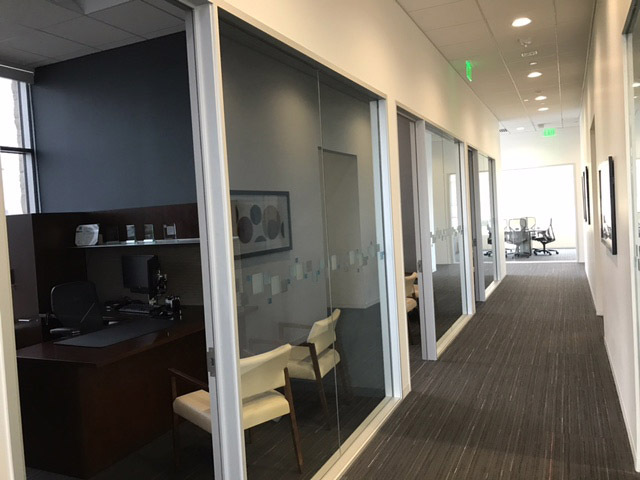 6,760 SF of office space occupied by tenant Charles Schwab Investment Co., Inc (S&P: A+). 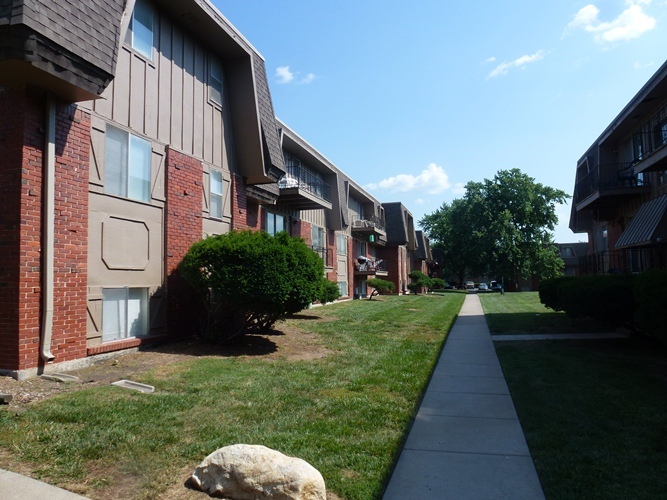 Built in 2014, this asset is located in Overland Park, KS, the largest suburb of Kansas City. 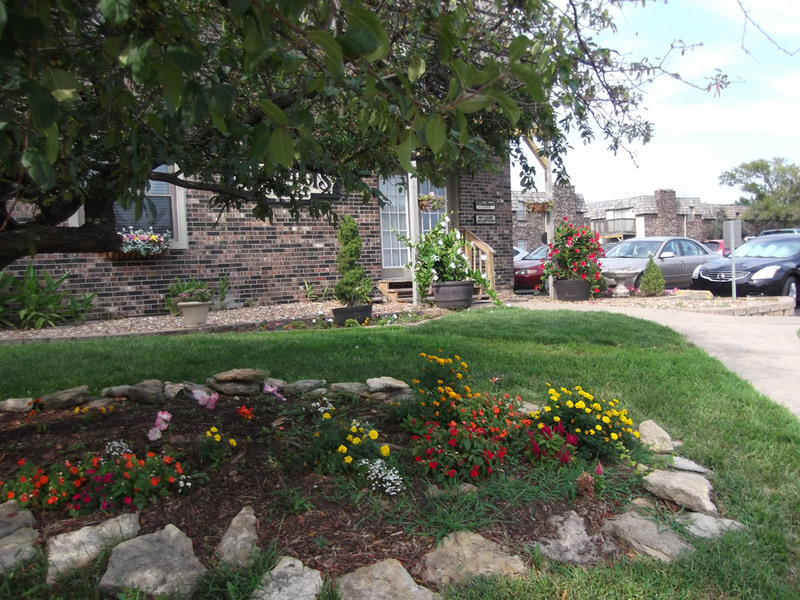 This prime location boasts daily traffic counts of 50,000 vehicles per day with average household incomes exceeding $140K within a 3 mile radius of the property. White Lakes Plaza consists of 9 two-story buildings located in suburban southwest Topeka. This garden style community offers an attractive unit mix of 72 one-bedroom and 72 two-bedroom apartments. 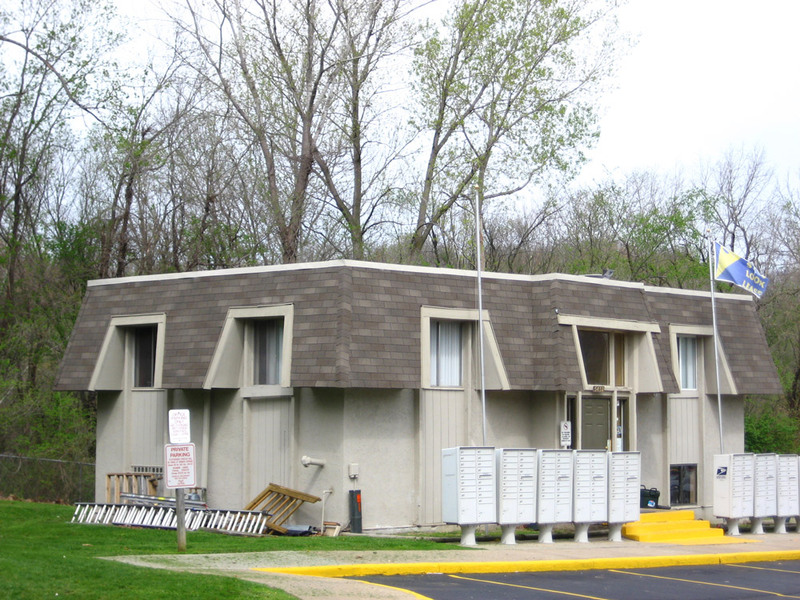 Common area amenities include our resort style swimming pool, community clubhouse, on site laundry facility, and covered parking. 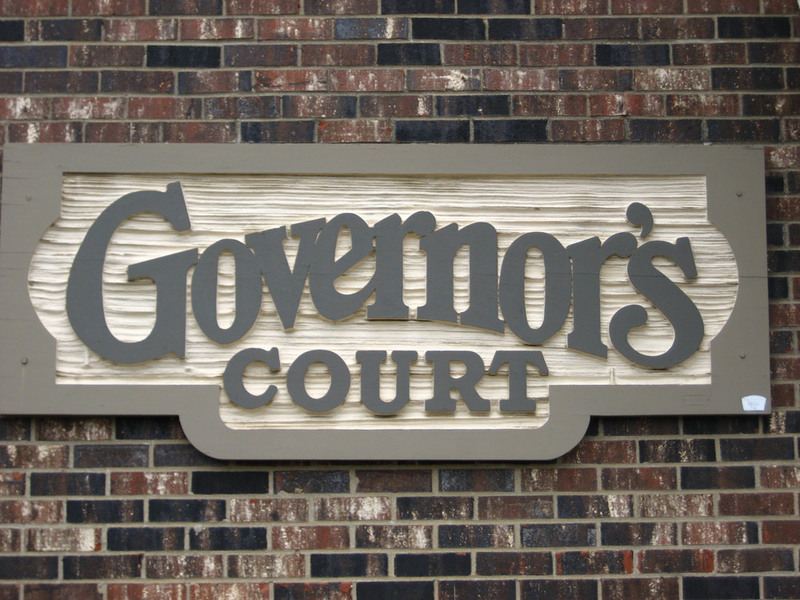 Governor’s Court consists of 5 two-story garden-style apartment buildings located in Olathe, KS. 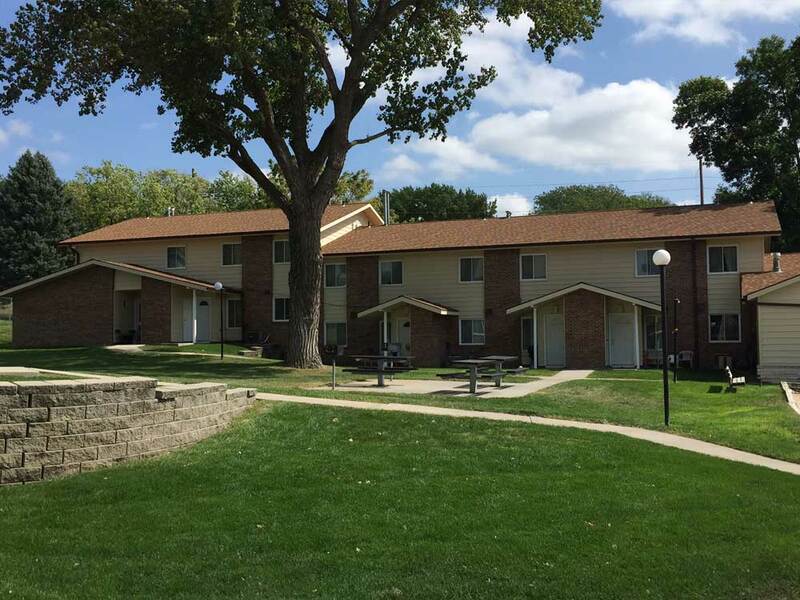 The property has 28 one-bedroom units, 48 two-bedroom units, and 4 three-bedroom units. 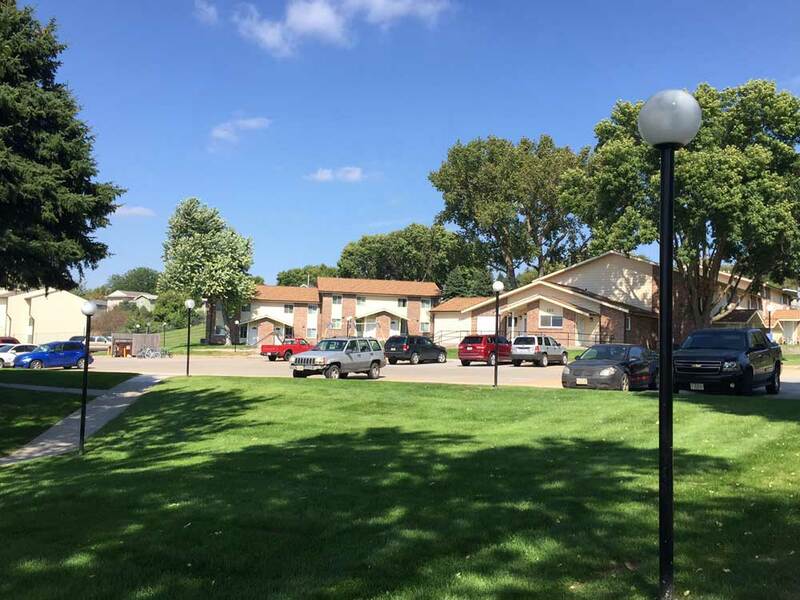 Located just 20 miles south of Kansas City, Governor’s Court provides its residents with an affordable housing option within the affluent Johnson County sub-market. 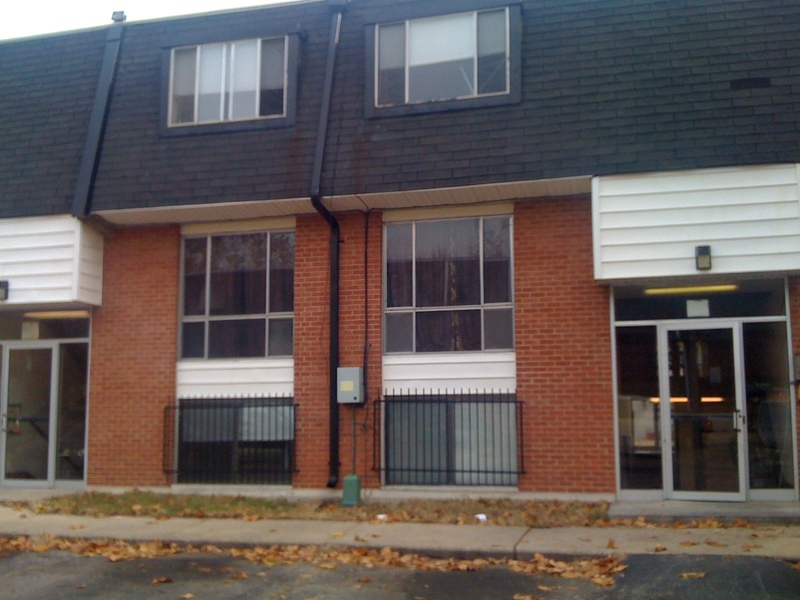 Community amenities include laundry facilities in each building, off street parking, and storage lockers for rent. 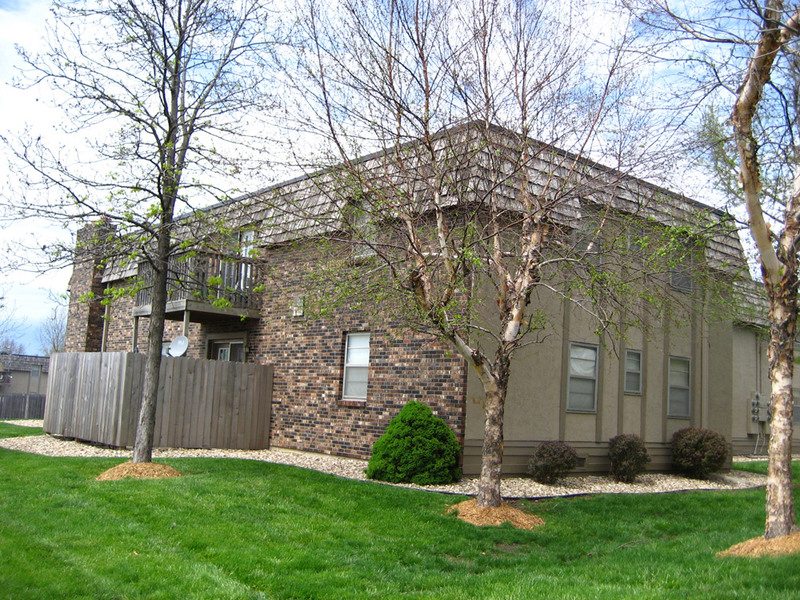 Carriage House consists of 12 two and one-half-story buildings situated on 9 acres in southwest Topeka, Kansas. 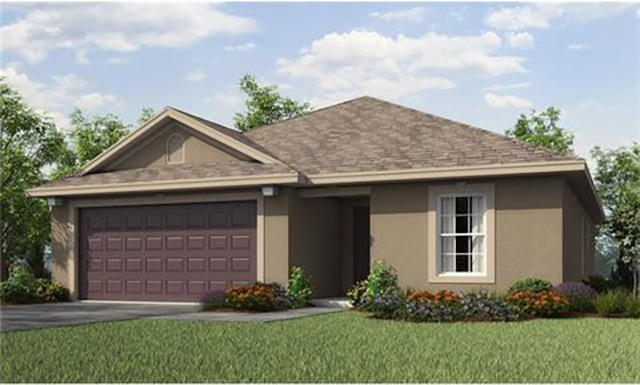 This garden style community features one and two bedroom apartment homes. 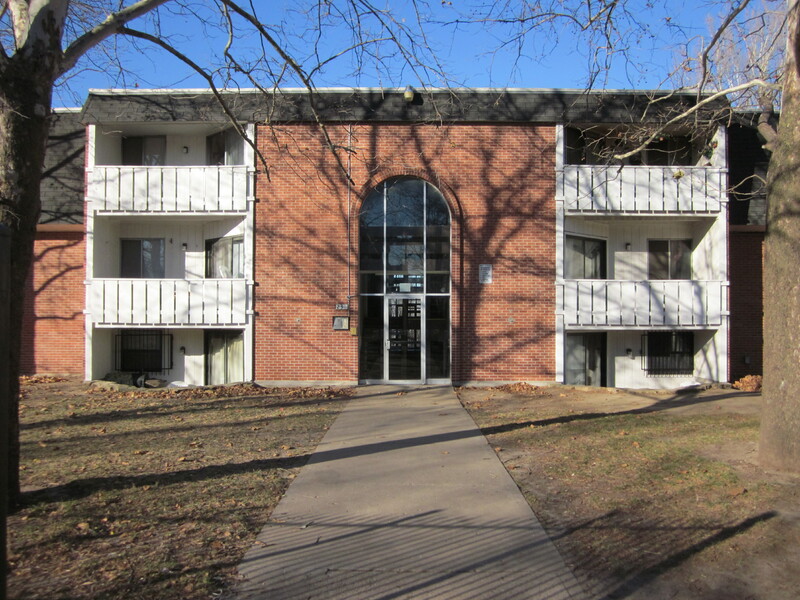 Common area amenities include two swimming pools, a community clubhouse, on site laundry facilities in each building, and abundant off street parking. 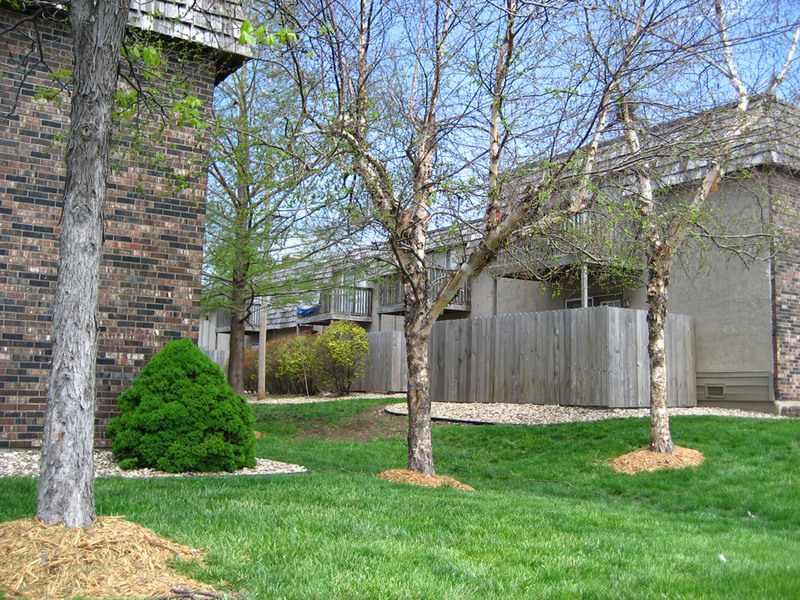 Beautifully landscaped courtyards provide residents with a serene setting within the capital city of Kansas. Norfolk, Nebraska. 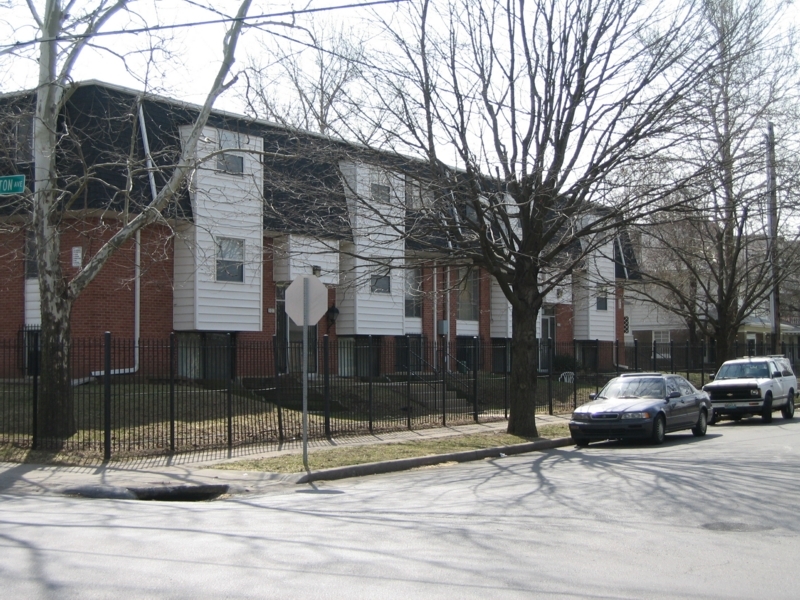 The buildings contain a total of 44 two-bedroom and 6 three-bedroom apartment townhomes all of which are made affordable to our residents with rental assistance provided under a HAP Contract (Housing Assistance Payments), administered by the U.S. Department of Housing and Urban Development. 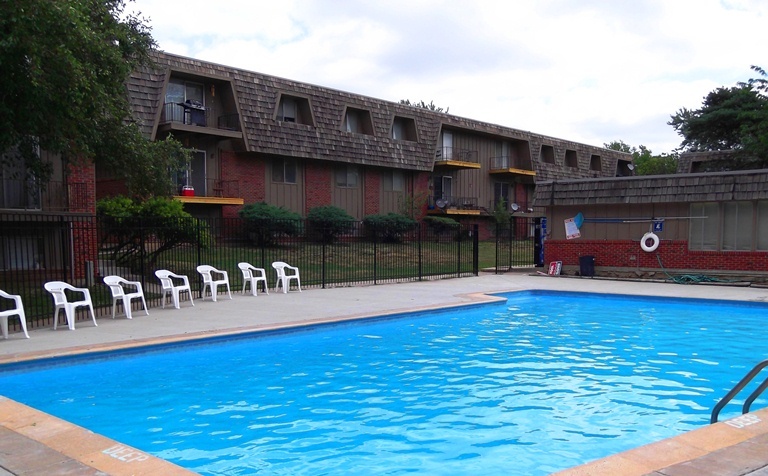 Amenities include an onsite laundry facility, playground, and central air conditioning. 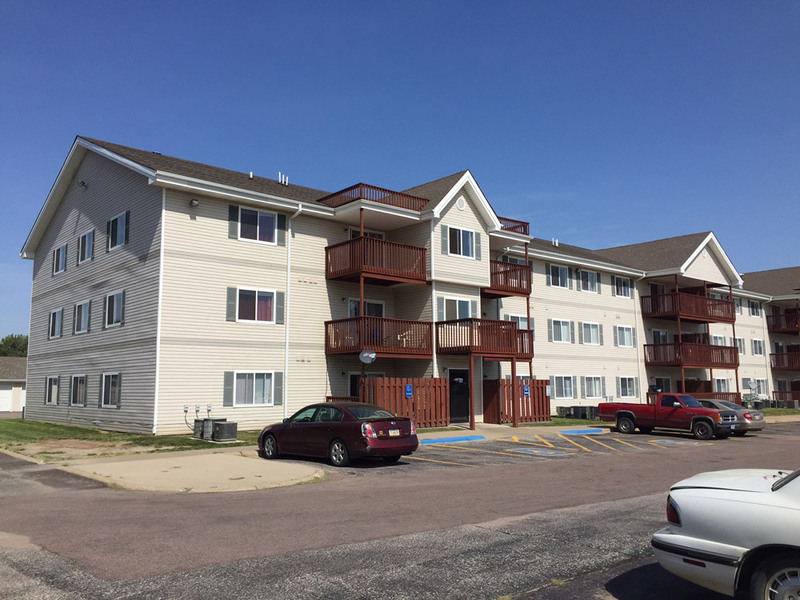 Riverfront consists of 3 three-story multifamily apartment buildings located in South Sioux City, Nebraska, just across the Missouri River from Iowa. 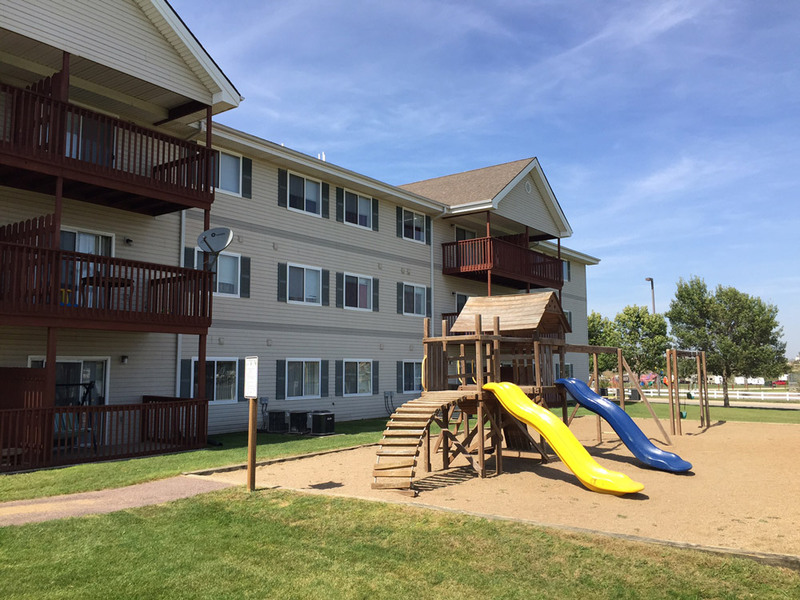 The community contains one, two, and three-bedroom apartments and caters to low income households earning no more than 60% of Dakota County’s AMI (area median income). Community amenities include onsite laundry facilities in each building, laundry hook-ups, garages for rent, and a playground. 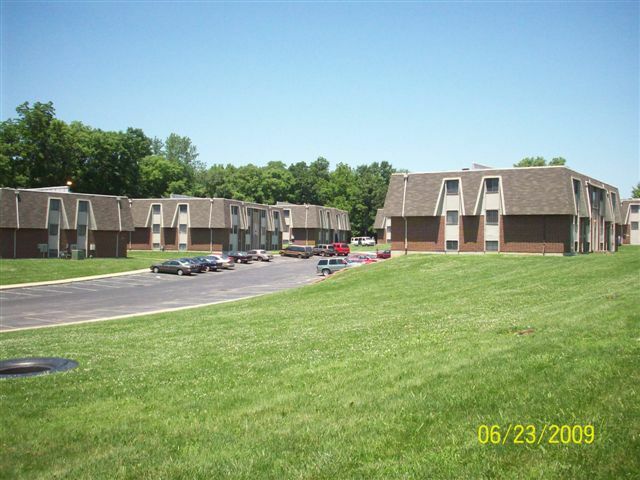 Situated just 15 minutes south of Indianapolis, Park Madison Apartments is comprised of 7 two-story multifamily apartment buildings located on approximately three acres of land. The community consists of 56 two-bedroom floor plans totaling 64,400 rentable square feet for a generous 1,150 square feet of living space per apartment. 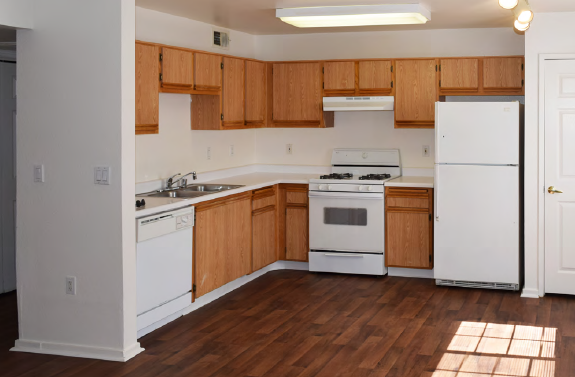 Property amenities include built-in microwaves, washers/dryer connections, private patios and balconies, walk-in closets, and ample off street parking. Charlotte currently boasts a population of over 800,000 people. The Charlotte metro is expected to gain 18% population growth over the next 7 years. The largest portion of this gain will be due to in-migration. Charlotte has a well-educated and highly trained labor pool that is attracted by a variety of industries and employers located in the metro. The metro’s employment base is growing and diversifying, drawing Fortune 500 companies. Though the finance sector is a large driver of the economy, manufacturing, healthcare and energy industries also play a vital role. The low cost of doing business attracts companies. Eight Fortune 500 companies have headquarters in the region: Bank of America, Lowe’s, Quintiles Transnational Holdings, Duke Energy, Family Dollar, Nucor, Sonic Automotive and Domtar. Highly ranked universities provide employment and produce a highly educated workforce, drawing top companies to the area. 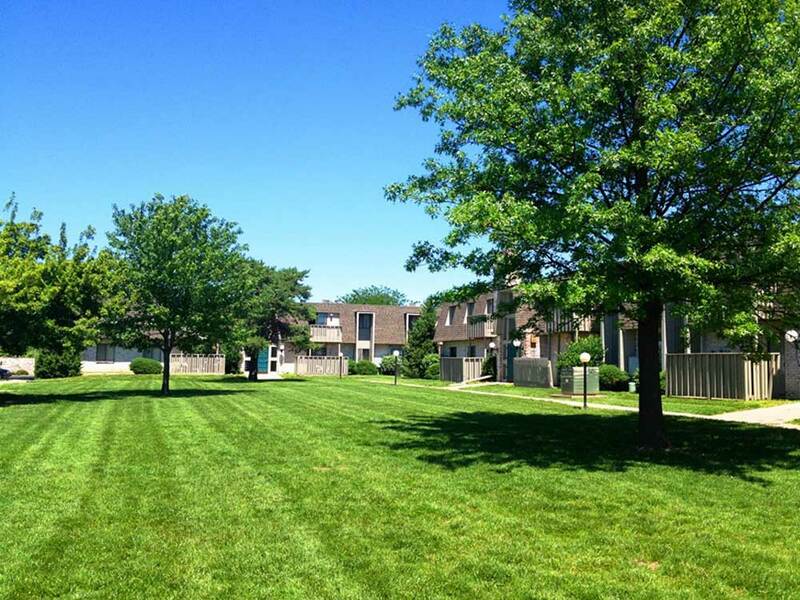 The Oaks is comprised of 8 two story garden style buildings spread over 10 beautifully landscaped, wooded acres. 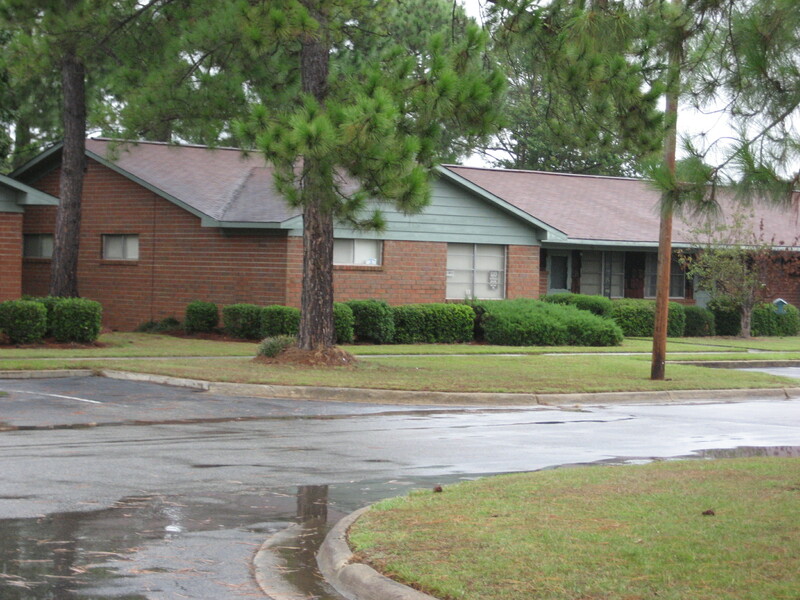 Built in 2002, the Oaks stands as Lincolnton’s premier apartment community. 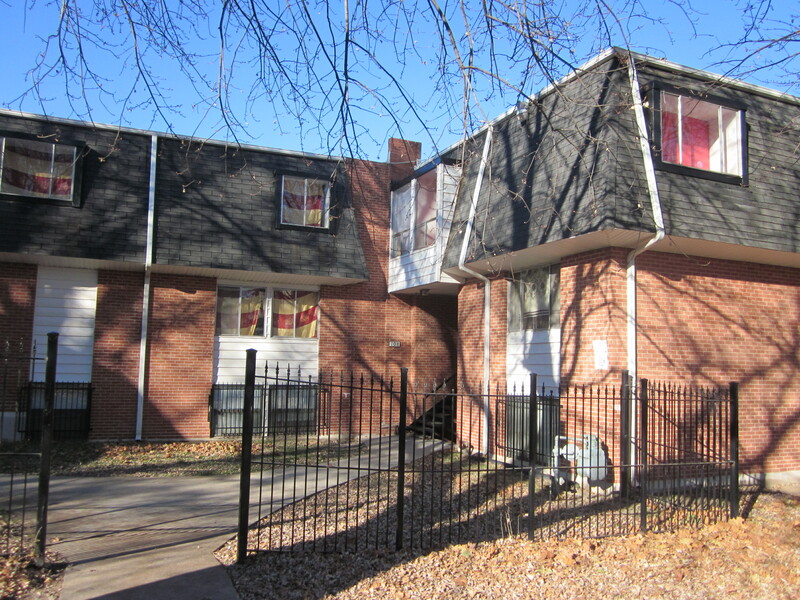 Unit mix is comprised of 20-1BR/1BA, 79-2BR/2BA, and 12-3BR/2BA Units. 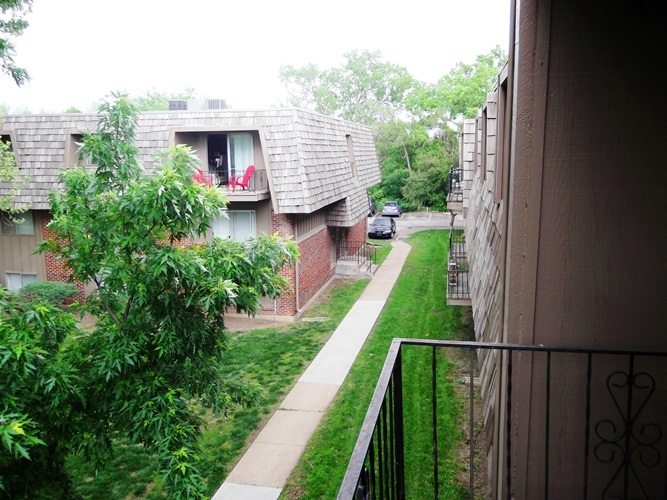 Property has covered balconies and breezeways, and 230 parking spaces, including fully enclosed garages. Amenities include Clubhouse, Fitness Center, Onsite Laundry as well as en-suite laundry hookups, Basketball Court and Dog Park. The Oaks will provide investors with monthly dividends starting within 45 days after closing. Our pro forma underwriting projects annualized cash on cash returns north of 7.5%. With strong population growth trends continuing over the next decade, we expect rent growth to continue, providing robust cash flow over our 5-year holding period. 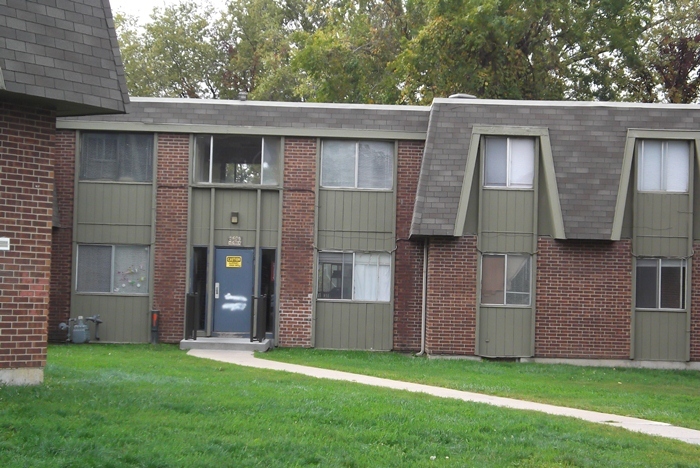 Eastbrook Apartments is comprised of 9 single story multifamily apartment buildings. The community features a well balanced mix of one-bedroom, two-bedroom, and three-bedroom apartments totaling 22,000 rentable square feet. A portion of tenant rent payments are government subsidized as specified in the Housing Assistance Payments (HAP) Contract. Eastbrook will provide investors with the opportunity to acquire a stabilized asset in a supply constrained market. While the property is subject to affordable restrictions through 2032, existing contract rents are substantially above market. And given the nature of the HAP contract, Eastbrook has zero exposure to market rent reductions for the term of the contract providing investors with a truly risk adjusted yield. This investment should generate solid, double-digit returns to investors each month. Total Cumulative Investor Distributions: T.B.D. Annualized Return on Investment: T.B.D. 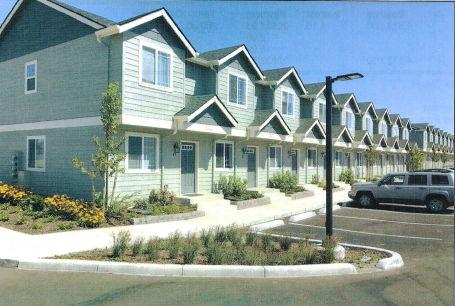 The Reserve at 5th consists of 5 two-story townhouse apartment buildings which are situated on a 1.59 acre site. The garden style community features a desirable unit mix of two-bedroom/1.5-bathroom townhouses which are appointed with high end finishes including granite countertops and in suite laundry appliances. Located four miles east of Eugene, the city of Springfield has experienced a housing shortage in recent years and has an average vacancy rate of just 2% as a result. 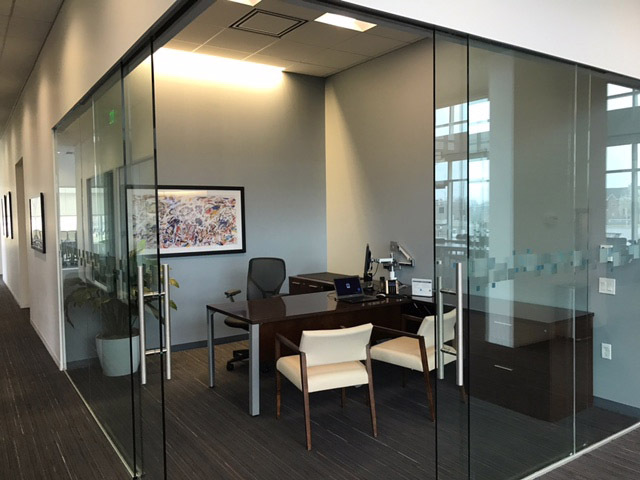 McKee Private Capital identified this asset as a replacement property for a 1031 exchange and successfully closed the transaction in December, 2017, marking its first acquisition in the state of Oregon. 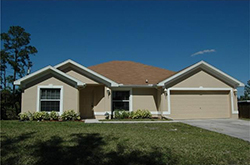 We obtained financing through Freddie Mac’s small balance loan program. In addition to monthly cash distributions, investors can expect steady appreciation in asset value given the underlying fundamentals in this growing market. 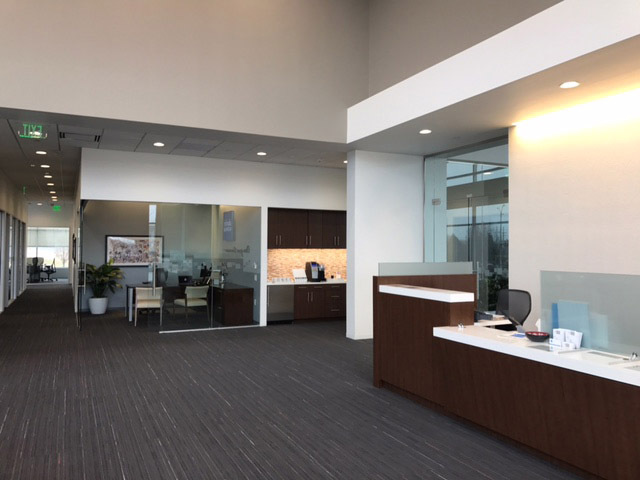 Constructed in 2014 as a build-to-suit for Charles Schwab & Company, this property is located in Overland Park, one of the highest income, high growth corridors of Johnson County, Kansas. Charles Schwab (NASDAQ: SCHW) is a publicly traded company with a Standard & Poor's A+ credit rating. Purchased subject to a 10 year triple net, fully guaranteed corporate lease, plus three 5 year options, each with 10% rent increases, this investment will generate solid, growing returns over the next 20+ years, with virtually no landlord responsibilities. The hard corner signalized intersection where the property is located boasts daily traffic counts of over 50,000 cars per day, and the average household incomes within a 1 mile radius of the property exceed $145,000 annually. We are confident that this investment will produce good long term income, as well as value appreciation due to its outstanding location. This investment will provide MPC investors with a truly passive income by producing immediate cash flow in excess of 6%, with steady increases over the life of the tenancy. 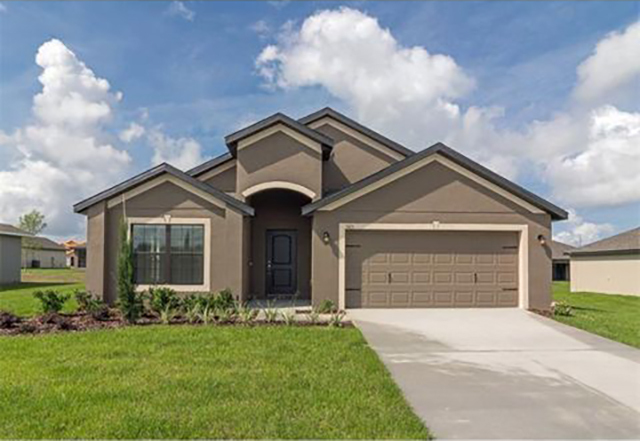 McKee Private Capital purchased 16 vacant residential lots in Lehigh Acres, FL in 2004, at an average cost of $10,625, and obtained 100% construction financing to develop new single family homes for investment. 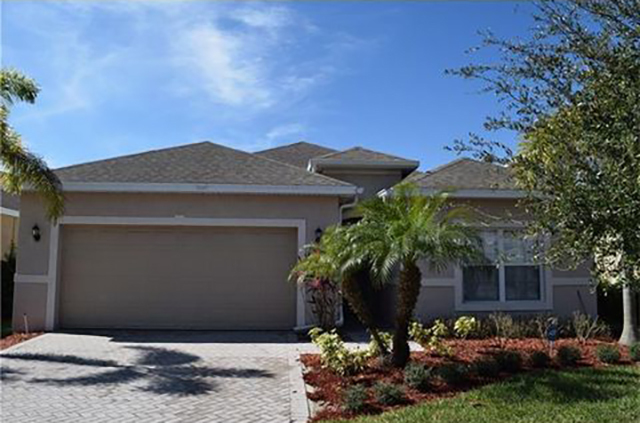 The timing of this investment was good, and we were able to sell 10 of the 16 homes prior to the market collapse at profits ranging from $75,000 to $125,000 per house. Our leverage on these homes was enormous given the ability to finance 100% of the development cost. 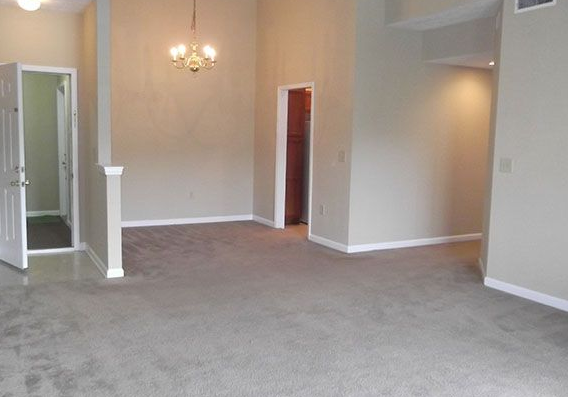 The remaining 6 homes remain in our investment rental portfolio, and are currently 100% occupied. 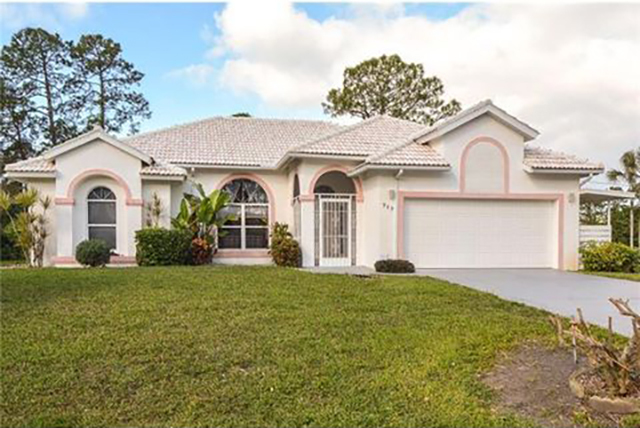 The continued growth in Southwest Florida is impressive, and we are happy to hold these remaining homes for long-term capital gains. 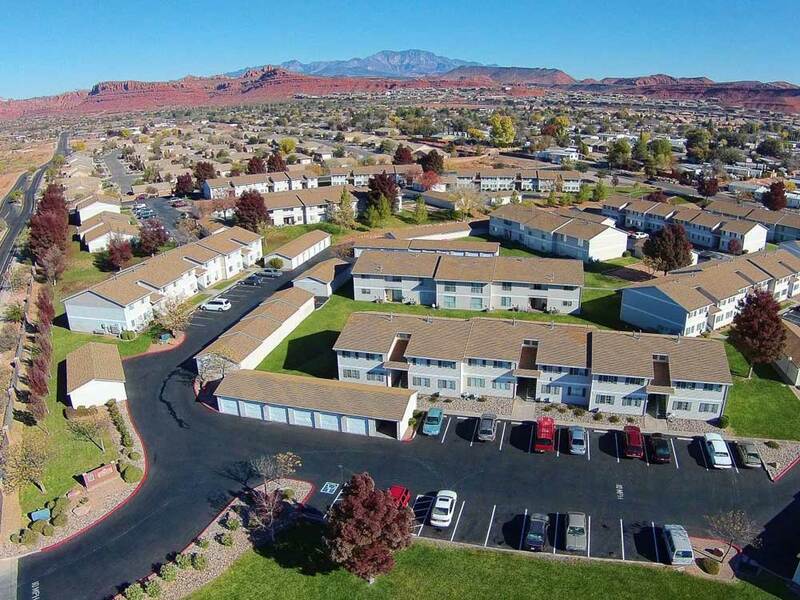 McKee Private Capital purchased Sierra Pointe in January 2016, marking our first expansion into the Utah market. MPC raised equity from seven private investors and assumed the Seller’s existing debt, which will mature in 2023. MPC investment projections indicate that Sierra Pointe will generate a cash on cash in excess of 9% per annum. While operations were stable under previous ownership, MPC is confident that meaningful rent growth is achievable with moderate unit upgrades and a more aggressive lease renewal campaign. 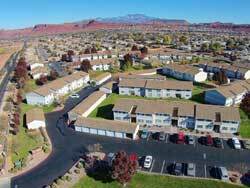 Median physical occupancy rates among similar type properties in St. George have been 99% for the past three years. Additionally, the local population has increased by approximately 30% over the last ten years and is poised for further growth. 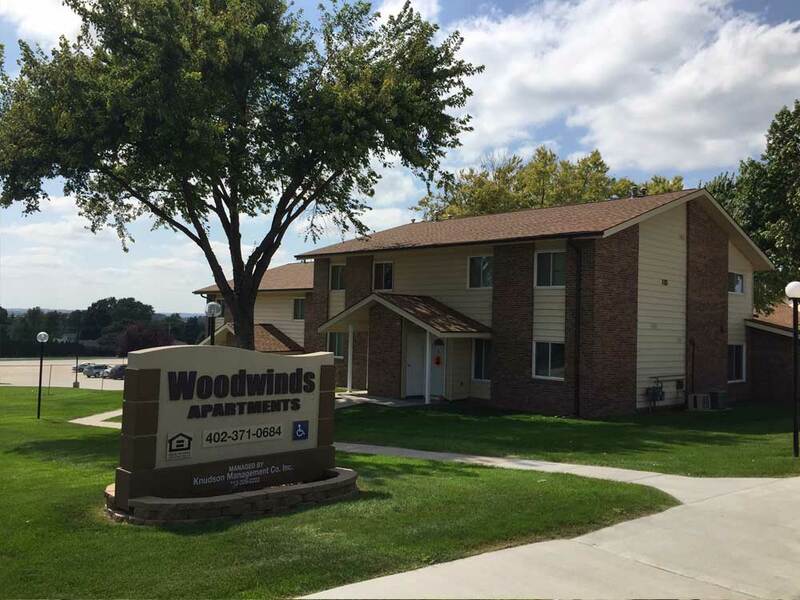 McKee Private Capital had the opportunity to acquire Woodwinds Apartments on an off-market basis in January of 2013. Upon takeover, MPC terminated the existing HAP Contract and negotiated a new, budget based Contract with HUD. As a result, Woodwinds is no longer subject to periodic RCS (rent comp surveys) and therefore has zero exposure to market rent reductions. This investment continues to generate solid, double-digit returns to investors each month. South Sioux City, Nebraska, just across the Missouri River from Iowa. 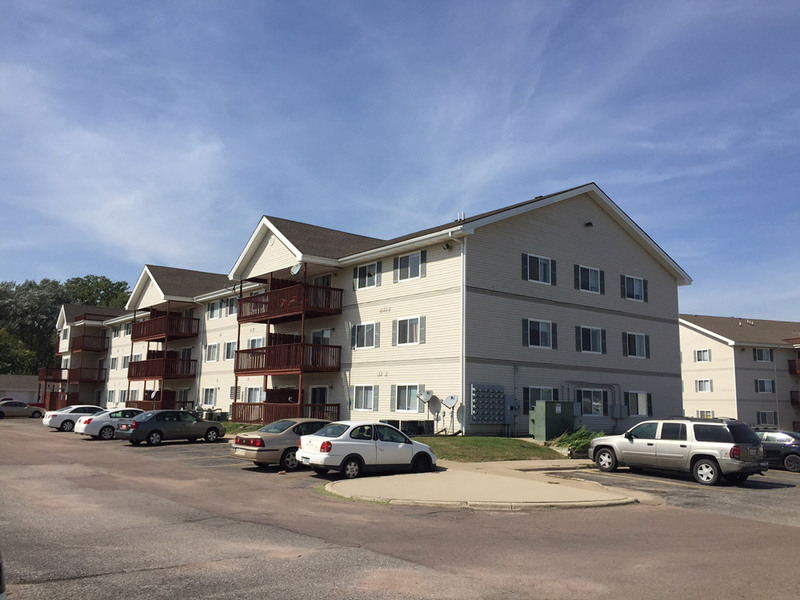 The community contains one, two, and three-bedroom apartments and caters to low income households earning no more than 60% of Dakota County’s AMI (area median income). Community amenities include onsite laundry facilities in each building, laundry hook-ups, garages for rent, and a playground. 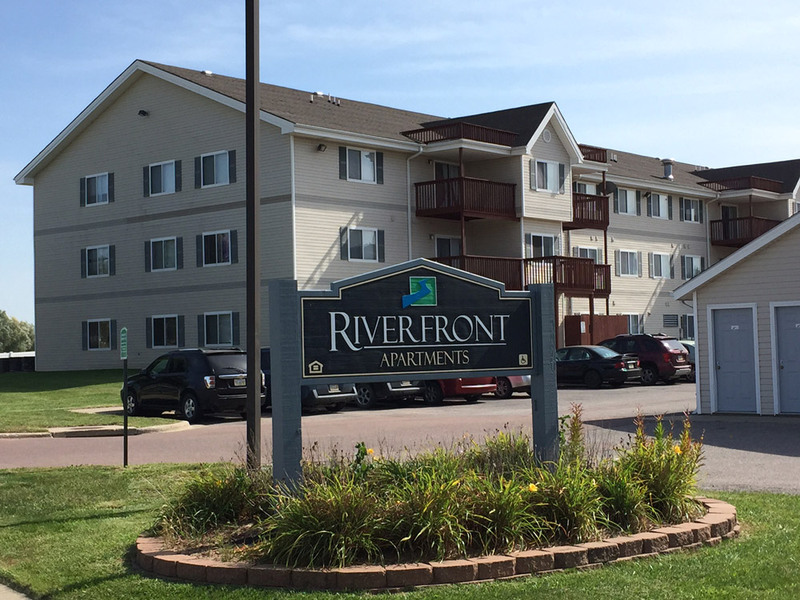 McKee Private Capital acquired Riverfront in December of 2013. MPC has been successful in creating value through a variety of management efficiencies which have resulted in reduced operating costs and increased bottom line growth. 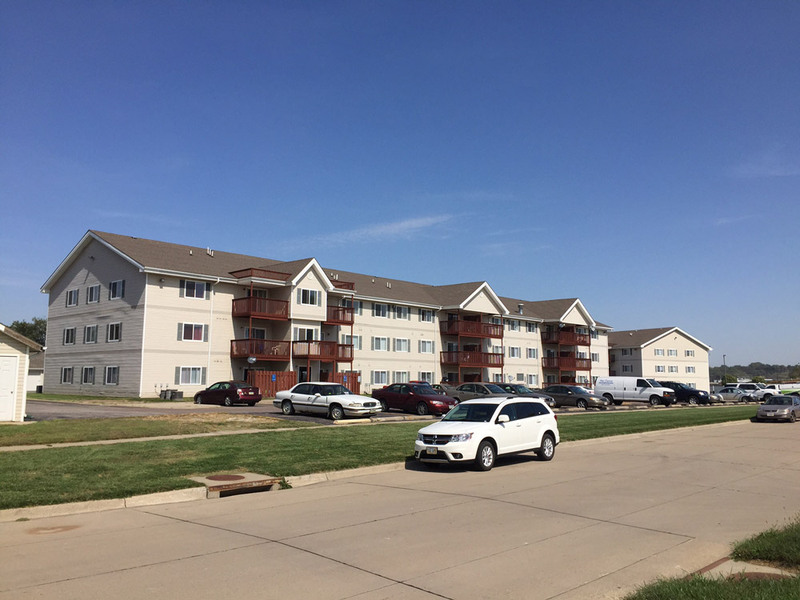 Since acquisition, MPC has increased NOI by nearly 30% and forecasts additional growth in the coming year as market demographics continue to improve in the Sioux City MSA. 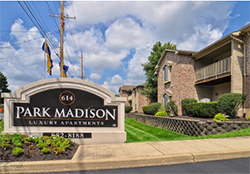 Park Madison provides investors with the unique opportunity to acquire real estate below replacement cost in a growing secondary market. With rents in the Indianapolis market expected to expand by 3.5% in 2017, Park Madison will continue to provide our investors with solid, conservative revenue growth. This investment is currently generating annualized cash flow in excess of 10%. 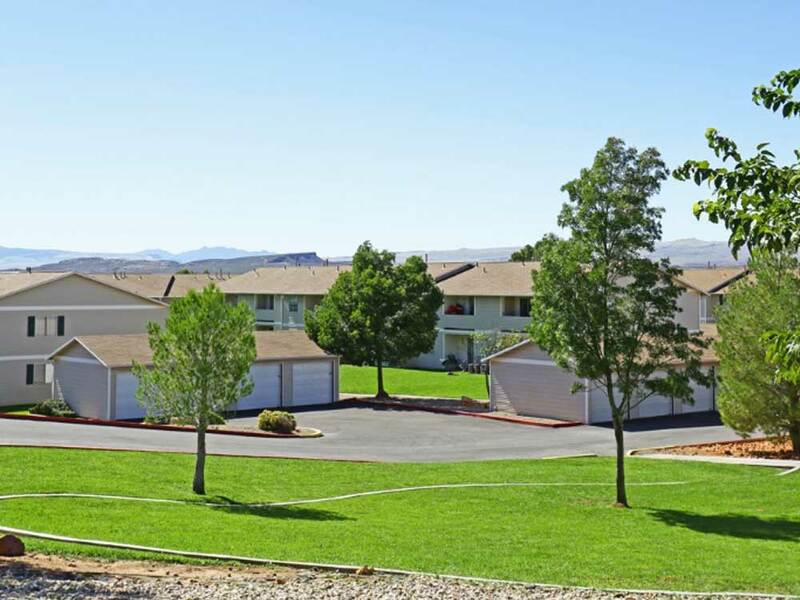 Sierra Vista consists of 6 two-story multifamily apartment buildings located in Seeley, CA, just 10 miles west of El Centro. 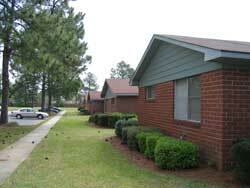 The community contains 24 two-bedroom, two bath apartments and 24 three-bedroom, two bath apartments. 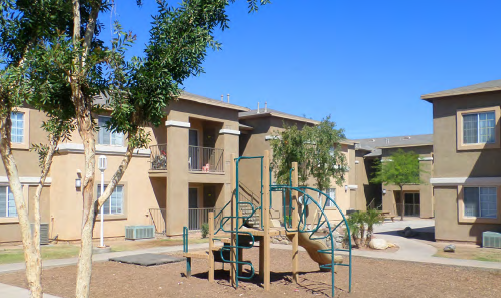 Sierra Vista provides affordable housing to families earning no more than 30%, 40%, 50%, and 60% of Imperial County AMI (area median income). 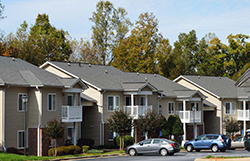 Each set aside has a dedicated number of units ownership must lease to renters within the prescribed income caps. 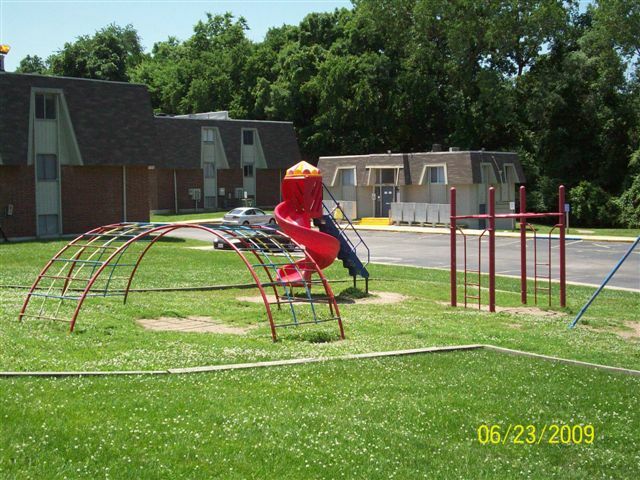 Community amenities include washer/dryer connections, playground, clubhouse, and covered parking. 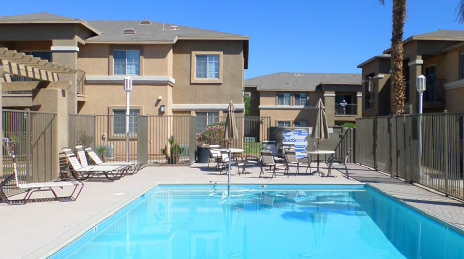 Acquired in December of 2016, Sierra Vista has provided investors with the opportunity to acquire Southern California real estate at a significant discount to replacement cost. The affordability designation is advantageous in this lower income MSA, which caters to workforce families primarily in the agriculture and services sectors. Modest rent increases coupled with more efficient management practices will bolster investor returns going forward. 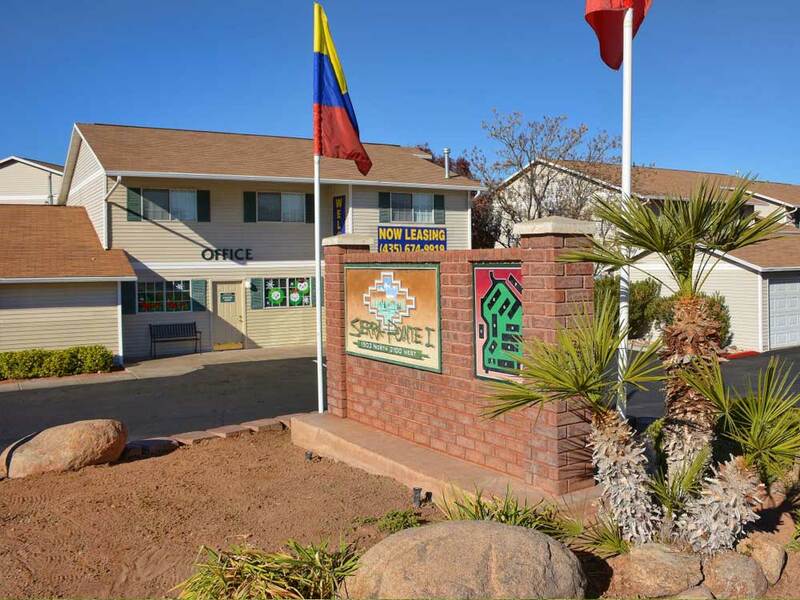 Casa Del Sol consists of 10 two-story multifamily apartment buildings located in Calipatria, CA, just 25 miles north of El Centro. 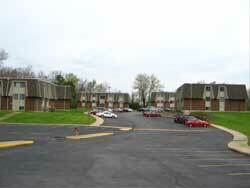 The community contains 41 two-bedroom, two bath apartments and 40 three-bedroom, two bath apartments. Casa Del Sol provides affordable housing to families earning no more than 30%, 40%, 50%, and 60% of Imperial County AMI (area median income). 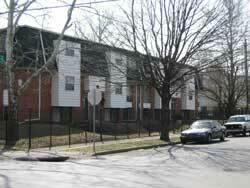 Each set aside has a dedicated number of units ownership must lease to renters within the prescribed income caps. 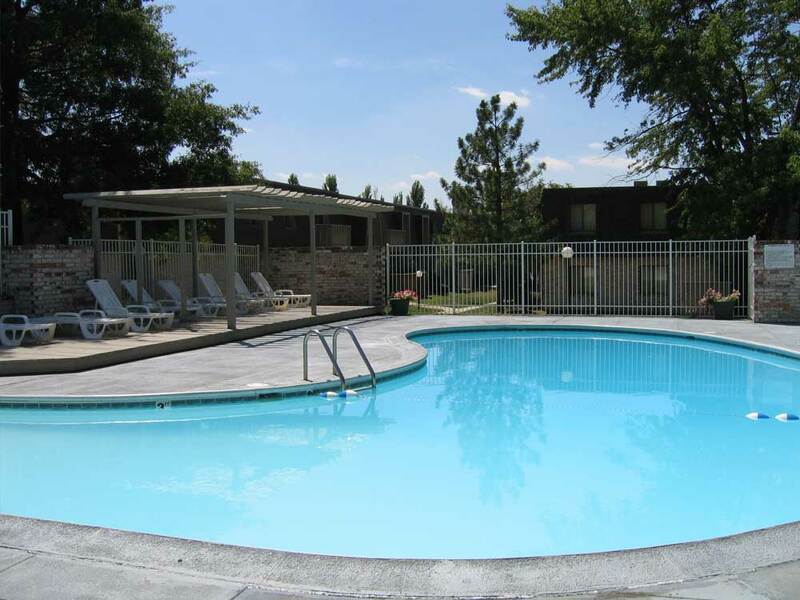 Community amenities include covered parking, washer/dryer connections, playground, clubhouse, and barbecue area. 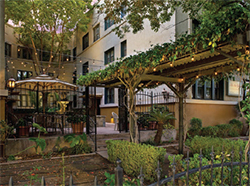 Acquired in December 2016, Casa Del Sol provides investors with the unique opportunity to acquire Southern California real estate at below replacement cost. The affordability designation is advantageous in this lower income MSA, which caters to workforce families primarily in the agriculture and services sectors. Modest rent increases coupled with more efficient management practices will bolster investor returns going forward. McKee Private Capital purchased the New Yorker Apartments in September, 2017, marking our first expansion into the Bakersfield market. MPC raised equity from two private investors and utilized Freddie Mac’s small balance loan program, which features a 36 month interest only period. MPC investment projections indicate that this investment will generate a cash on cash yield in excess of 9% per annum. With limited supply in the pipeline and Bakersfield citywide vacancy rates averaging just 2.3%, investors can expect outsized cash on cash returns with their participation in this investment. 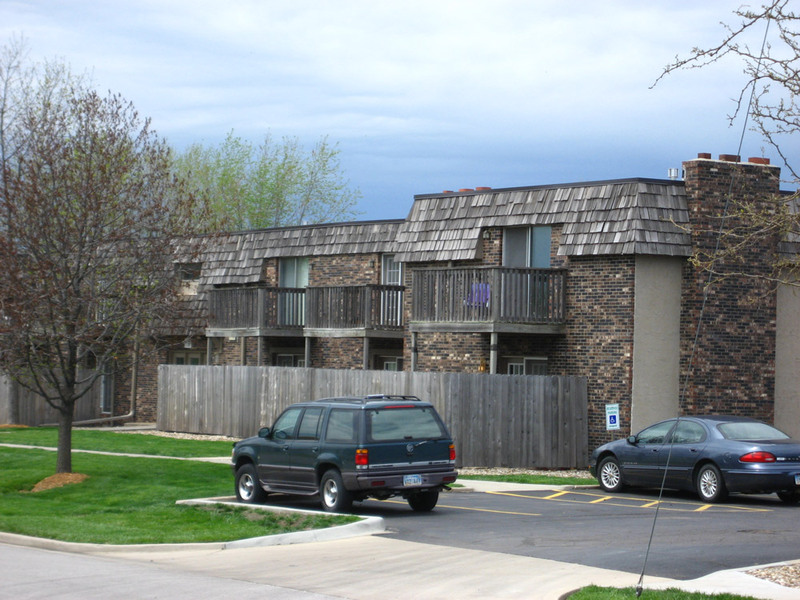 In 2005, McKee Private Capital expanded its footprint to include the Midwest with the acquisition of Northeast View Apartments. MPC paid less than 50% of replacement cost allowing for a debt coverage ratio in excess of 1.5 and an acquisition cap rate of nearly 11%. Property operations remained stable throughout MPC’s holding period providing investors with consistent, double-digit cash on cash returns each month. Investor demand for Project Based Section 8 assets has surged since 2005, which prompted MPC to take Northeast View to market in 2014. The property sold in the first quarter of 2015 to a non-profit group at an above market sales price securing investors tremendous appreciation on their initial equity. Northeast View exceeded MPC’s initial investment projections. 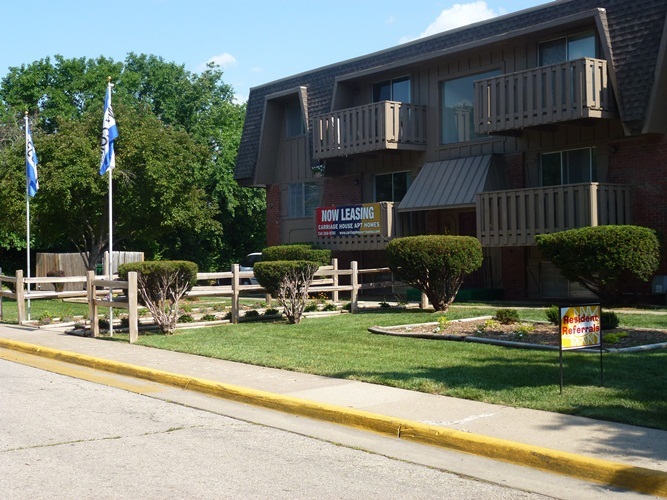 McKee Private Capital purchased White Lakes Plaza in 2006 after having success with another apartment investment in the nearby Kansas City market. As a condition of the purchase, MPC assumed the Seller’s conduit loan which featured an above market interest rate. 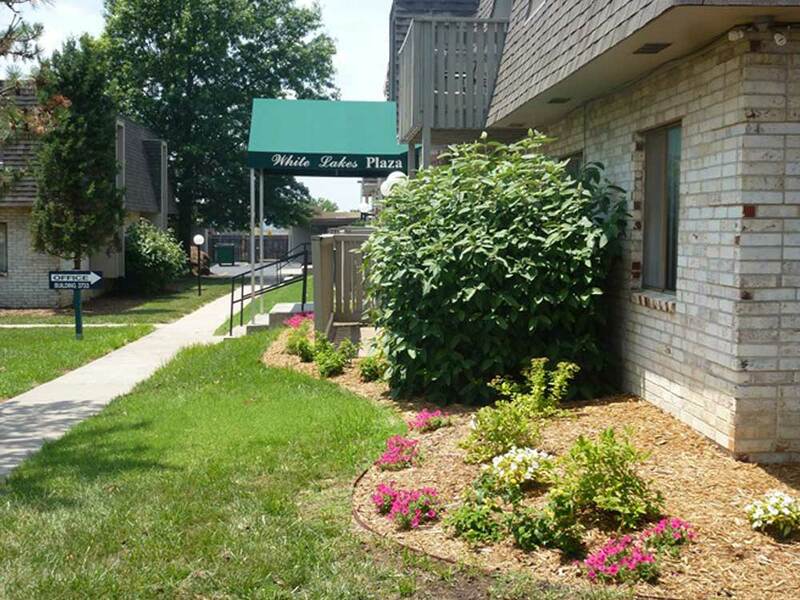 After the yield maintenance provision expired, MPC refinanced White Lakes Plaza and pulled out cash for various property improvements which helped drive significant rent increases. 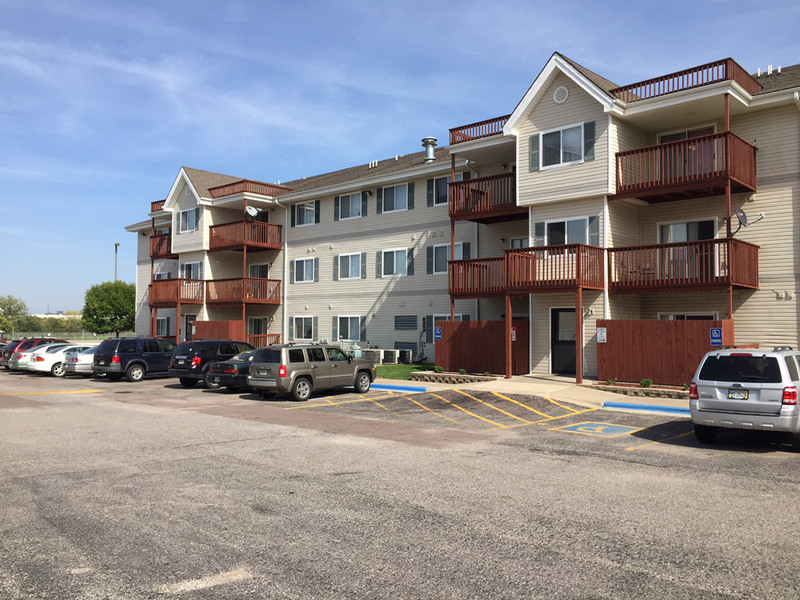 Recognizing impending capital needs including roof and parking lot replacement, MPC decided to divest White Lakes Plaza in 2017 and completed a successful 1031 exchange into a newer single tenant asset located in Overland Park, KS. 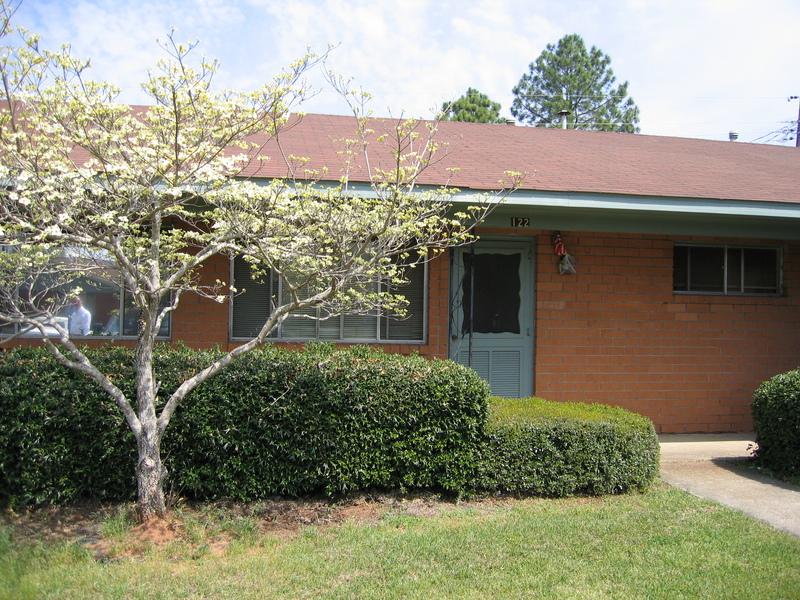 In 2006, McKee Private Capital expanded into the Southeast region of the U.S. with the acquisition of Northside Gardens. MPC purchased the real estate at a significant discount to replacement cost alongside one equity partner. Property operations remained stable throughout MPC’s holding period providing investors with consistent monthly cash flow for nearly nine years. Given the age of the asset, and impending capital investment requirements, MPC made the decision to sell in January, 2015, realizing a profit on the sale. Sale proceeds, coupled with the years of cash flow provided our ownership entity with an internal rate of return in excess of 10% over the term of the investment. 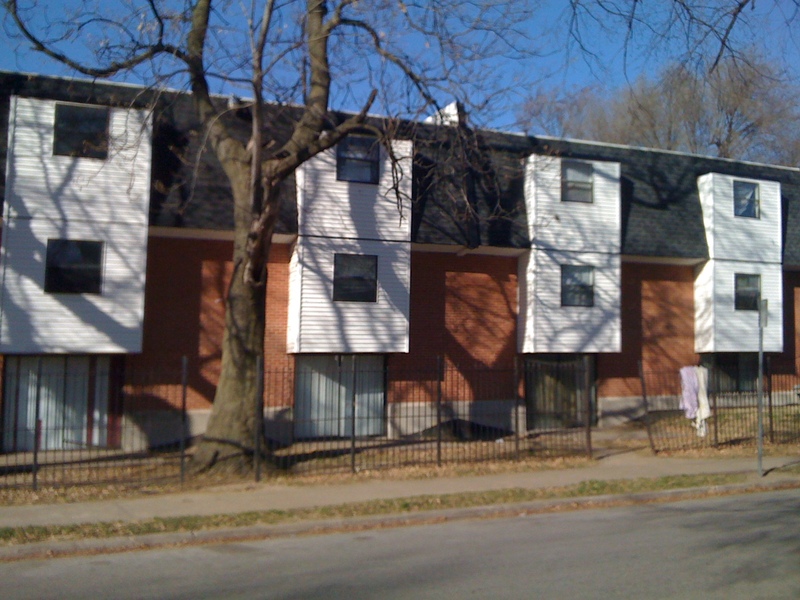 McKee Private Capital purchased Englewood Apartments in 2007 with three investors, all of whom had taxable events looming due to capital gains on recent property sales. MPC successfully navigated three 1031 exchange transactions enabling investors to leverage their appreciated capital without tax recognition, and grow their real estate exposure by partnering in the acquisition of Englewood. In addition to equity preservation, Englewood provided investors with an 8.12% internal rate of return over the life of the investment. MPC sold the asset to a tax credit developer in May, 2015, realizing appreciation on the sale. McKee Private Capital purchased Carriage House in 2008, sourcing equity contributions from ten investors. MPC was able to acquire the property well below replacement cost due to above market vacancy and high delinquencies that existed prior to takeover. Investors enjoyed monthly cash flow distributions during the first six years of operations. However, during the Great Recession, Topeka began to experience economic decline, resulting in a surge of unemployment, and resulting in large numbers of resident defaults. Many of the better qualified residents upgraded to single family home rentals and purchases, made possible by the glut of foreclosures in the market. This major shift had a negative impact on overall property operations and liquidity. MPC ultimately made the difficult decision to take a minimal loss and exit this investment in 2015. We feel it is important to mention that MPC held a majority ownership interest in Carriage House, as is the case with most of MPC’s investments. McKee Private Capital purchased Governor’s Court in 2007 after having established a presence in the nearby Kansas City market. 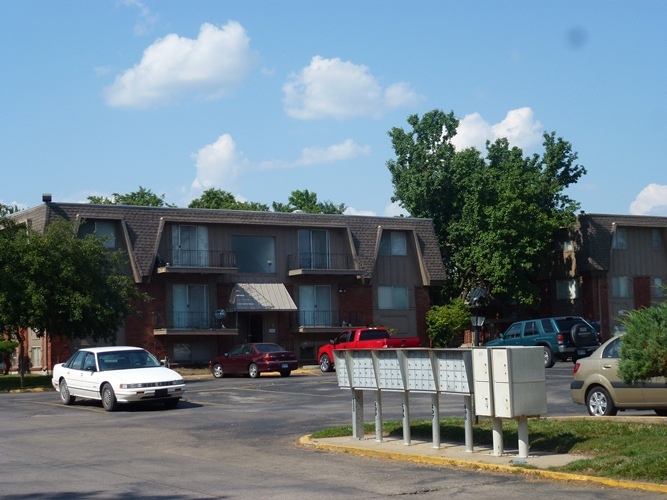 Given this property’s close proximity to Kansas City and the favorable market demographics of Johnson County, MPC was able to realize immediate rent growth post acquisition resulting in strong investor returns over the term of the investment. 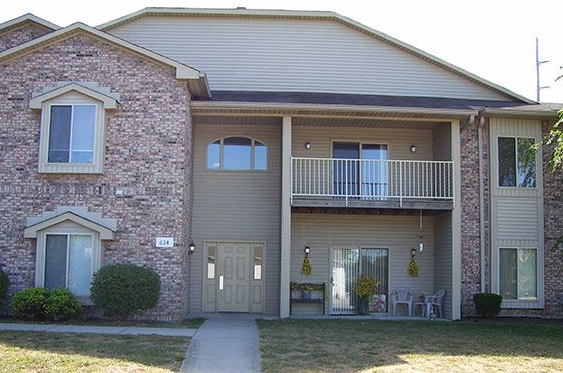 MPC decided to divest Governor’s Court in 2017 and completed a successful 1031 exchange into a brand new multifamily asset located in Springfield, Oregon.